In a cold and wintery Vienna, the team behind EDI and two of our startups (INNOVA labs and Pragma IoT) attended the European Big Data Forum, in Vienna, Austria. 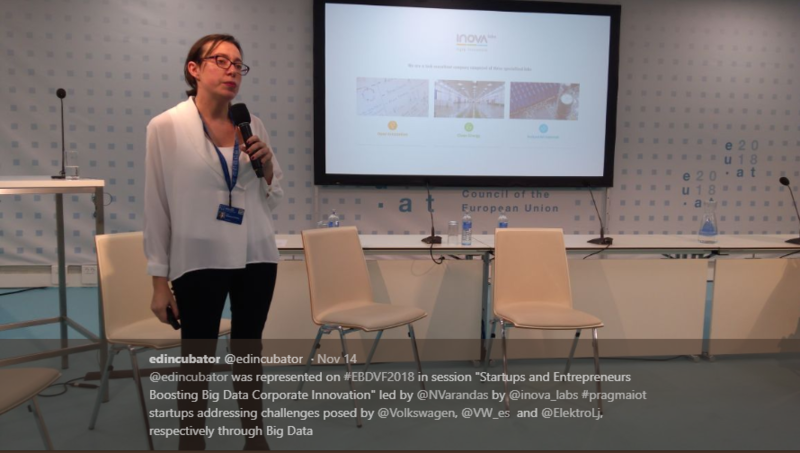 Presenting the opportunity to meet and mix with some of Europe’s leaders, thinkers, researchers, and policy makers working on big data innovations, this was an exciting experience to widen EDI’s network and a chance for the startups to make new connections. EDI took part in two sessions on the first day of the conference, to share our ‘big data’ insights. This first session allowed EDI to share its experience, along two other initiatives, on how startups and entrepreneurs can be key to helping corporates to innovate using big data. The session was quite animated, with each concept and methodology being discussed, as well as their outcomes. iSpaces presented strong success stories, while DataPitch and EDI each invited two startups and SMEs to share their experiences of these programmes in person. Two of our EDI startups, INNOVA labs (Marta González) and Pragma IoT (Stelios Krinidis) took to the floor to talk about their experience of the EDI’s first round of incubation (called ‘Experiment’). They explained how EDI is helping them overcome the barriers usually encountered by data startups, e.g. access to big datasets, access to hyper scalable infrastructure, coaching and training, equity-free funding. In this way EDI has facilitated their road to collaborating with corporates and providing innovative solutions to their big data challenges. The second session addressed issues and hurdles that data-driven startups and scaleups usually face when catching the attention of investors. How do you describe the data-driven business in a convincing way? What are investors looking for? 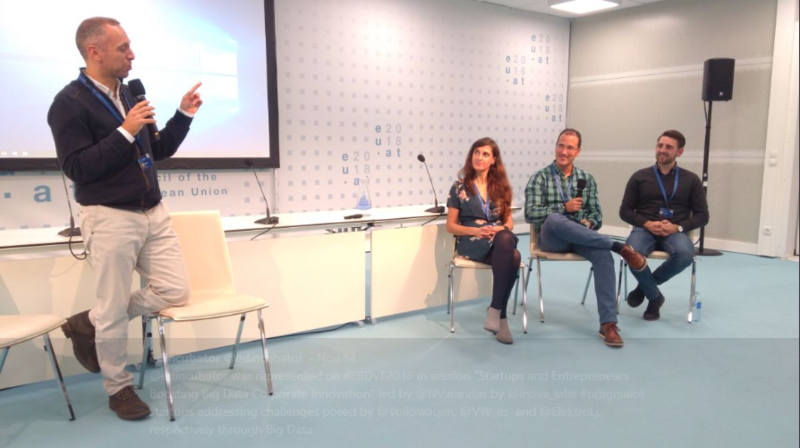 The discussion was joined by Eva Arh (capital 300), Marta González (Inova Labs), Sonja Zillner (Siemens), Ryan Goodman (ODI) and Nuno Varandas (f6S, one of the partners running EDI). Together they focused on identifying the problems and then finding the right approach.